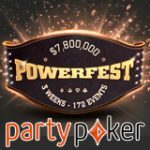 The first ever Powerfest Series offers over $5 million in guaranteed prize pools spread across ninety-eight Party Poker tournaments. There series run for four weeks between 21 February - 20 March, each week is dedicated to specific stake levels: Featherweight, Middleweight, Heavyweight & High Roller. 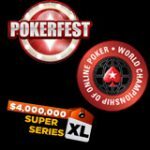 The new online poker series is a combination of the Pokerfest series featuring events from the Party Poker Power Series tournament schedule. The winners of each ninety-eight events will be registered for the Tournament of Champions event where the winner will get a $5,000 prize package to the WPT500 Aria. 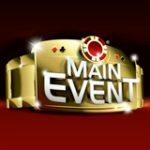 Buy-in directly on the day of the tournament or start playing satellite tournaments and win entry through the Ticket Brawls which start from only $0.01. 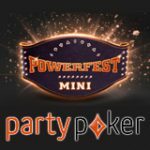 The 2016 Powerfest Series is an exciting new tournament series taking place at PartyPoker from 21 February until 20 March. 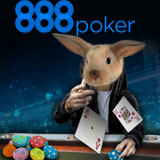 The series guarantees over five million dollars in guaranteed tournaments and is suitable for players of all stake levels. 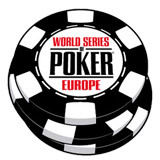 Each week the series features a new stake level starting with low stakes tournaments and ending off on the final week with high roller tournaments. 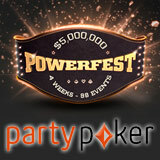 At each stake level there is a Main Event, the entire Powerfest Series schedule will be released shortly. Signup and get up to $500 welcome bonus on your first deposit. 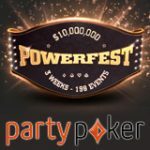 The winner of each event in the 2016 Powerfest Series will return to the digital felt where all ninety-eight winners will play for a WPT500 Aria prize package worth $5,000 as the first place prize. There are also tournament tickets ranging from $5.50 up to $530 as prizes for player finishing in top positions in the TOC event. 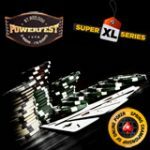 Start playing for your tournament ticket to the 2016 Powerfest series by qualifying through the daily Ticket Brawls satellites which start from as low as 0.01.